Whether you are building personal website or running online business, the way you do it and platform you use bring a lot of consequences. There is no absolute “top” or “best” website-builder. The important thing is to choose the solution corresponding to your aims and experience. 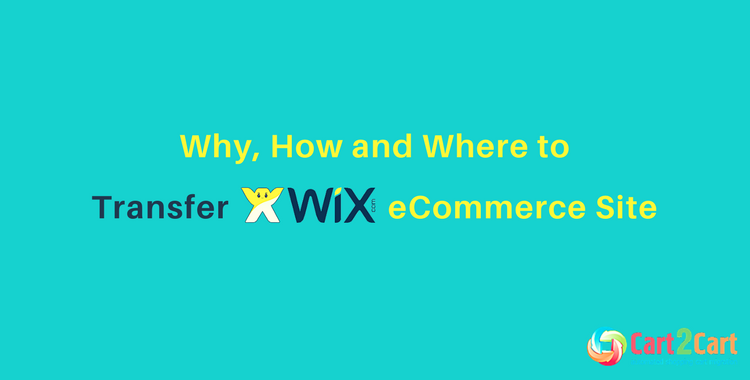 In this article we will look at Wix eCommerce solution, determine its pros and cons and identify in what cases Wix is a perfect match and when it’s not. Then, we’ll figure out when it’s worth to transfer Wix eCommerce site to another platform, how it will affect your store functionality, brand awareness, add or not you headaches. And, finally, we’ll suggest you the most easy and effective way to perform Wix export. Among the wide range of website builders, Wix seems to be a user-friendly solution which comes with an all-inclusive package. The platform is easy to start with: few minutes to register, choose suitable template and begin filling with content your website/store. All these can be done with no programming skills and software download - SaaS as it is. Wix is originally created to build professional and beautiful websites. It works well for restaurants, artists and small businesses with a small assortment. With few clicks you can create a good looking website. To create and run an e-store to sell 100-500 items with no developer’s help, you need you use any of apps available on Wix marketplace. Wix comes with an easy-to-use drag-and-drop interface and many other advantages that can facilitate maintaining site to newbies. On the other hand, it offers pretty limited ecommerce functionality and will barely be a good choice if you want to concentrate on sales mostly. Nothing is perfect, and there are few drawbacks of Wix to be taken into consideration, as they could become reasons to migrate from Wix for you. There are a lot of store owners’ complaints about it, but “we have what we have”. If you want to redesign, you cannot switch a template that you’ve chosen at the beginning, and you can’t edit the code behind the template. Be prepared to start from the scratch if you want to give your website a different look. Besides, you cannot export your template if you decide to transfer Wix eCommerce site to another platform. Wix graphics is eye-catching, but you will be disappointed to discover hundreds of businesses in industry using the same design. You may have the best content or images, but your website will not be unique. Wix templates aim is to allow the customer to build up the website as easy as possible, that’s why they are created to be used by anyone. But the key to having a successful e-store is to distinguish among competitors. That could be a good reason to transfer Wix eCommerce site to those, who put brand awareness and identity on the first place. It doesn’t look professional and will not help you to gain higher Google rankings. To change the free Wix URL to a domain name, you have to go with a Premium plan, which includes this feature. So, if showing upper in Google is important to you, a free e-store on Wix is not what you need. Generally, Wix offers all basic SEO tools e.g. customization of page titles, image alt texts, etc. to allow your website run well in Google. However, the thing is that Wix is running on AJAX technology and search engine bots usually experience difficulties in indexing such websites, in comparison with HTML or CSS ones. It’s better to choose more SEO-optimized solution to create an advanced and professional web store. There are two main sources of money for free website builders: advertising and upgrades. If you are running a free Wix site, advertising on your page will be out of your control. That just doesn’t look professional and makes sense to go with a Premium package or migrate from Wix. Where is better to transfer Wix eCommerce site? the most famous and flexible eCommerce WordPress plugin. It offers you hundreds and thousands of unique templates. It is the open-source solution, unlike Wix, and allows you to customize as much or as little as you want to get the effective and astonishing looking store. By the way, WooCommerce is extremely SEO-optimized and offers you advanced eCommerce tools. a hosted shopping cart with a drag-and-drop interface, which is as easy-to-use as Wix and makes maintaining the store relatively comfortable for newbies. But, Shopify has a higher level of flexibility and customization. It provides you full control over HTML and CSS of your site. Recent Shopify integration with Amazon allows you to sell products from a single Admin Panel. That is another point to transfer Wix eCommerce site and grow your profit faster. How to migrate Wix eCommerce site? The easiest and most secure way to transfer Wix eCommerce data to another platform is via Cart2Cart automated shopping cart migration service. Cart2Cart is the #1 automated migration tool available on the market, with more than 30 000 successful platforms’ switching on its count. This service will help you to perform migration from Wix with ease. All your eCommerce data will be safely moved from your Wix store to more than 75 supported target platforms within a couple of hours automatedly, with no developer help needed. Choose Wix as a Source Cart and provide your current store URL. Choose your Target Cart and provide shopping cart details (instructions given). Select the entities you want to export from Wix and pick up additional migration options to expand your replatform possibilities. Start Free Demo migration from Wix and a limited number of entities will be moved to a Target Cart within 30 minutes. Launch Full migration by clicking the “Start migration button” and enjoy your new store in few hours. You will see the progress bar with migration process while transferring Wix eCommerce site and get the notification email when it is over. There is no need to watch migration process, you can continue selling, as your store will be uptime during data transfer. You can securely transfer your Wix store to 75+ other platforms, including Shopify, WooCommerce, BigCommerce and many others. If you are planning to run a successful and profitable store, start a Free Demo export from Wix right away and get higher flexibility and advanced eCommerce tools in few clicks.